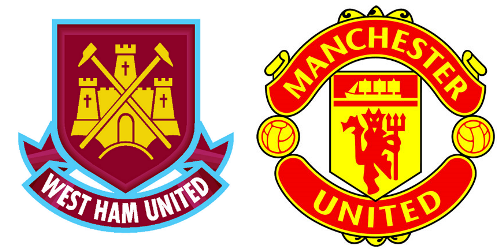 Premier League Preview for West Ham United v Manchester United along with Predictions for the matches on week 33 of the EPL. Follow up each match with results and video highlights posted later in the week. You can also check out the weekly EPL TV Schedule. Manchester United’s season may have become somewhat anticlimactic, however, they do still need to get seven more points to actually win the league. In Sunday’s match they didn’t exactly overpower Stoke so much as simply beat them. In West Ham they should have a tougher opponent. West Ham has continued to play highly pragmatic football with plenty of old style tactics, particularly using route one to aim at the head of Andy Carroll. Even so, they have continued to get the results they need and shouldn’t be worried about relegation this season. They remain in the middle of the Premier League Table in 12th place and should have enough to stay up. West Ham could give United some problems, especially being at home and playing a tough style of football that should be more difficult than their recent visit to Stoke. At the same time though, United has been able to get wins no matter where they go and the only thing that has really seemed to slow them down is a high pressing team. My prediction is yet another Manchester United win to move them to within four points of the title. I also think it’s going to be difficult for West Ham to score against a United defense that has been extremely solid recently.